Indoor. Super Lemon Haze is a blend of Lemon Skunk X Super Silver Haze and Cannabis Cup Winner for two years in a row. These tasty, super hairy crystalized buds are everything you’re looking for and expecting out of a top shelf Super Lemon Haze. 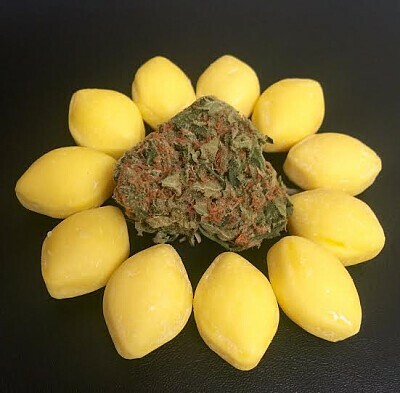 Pungent skunky sweet smelling buds with a burst of lemon that taste tart and sweet like lemon drops will send you into a great energetic euphoric high with deep body relaxation, inspiration and focus. Ideal in treating depression, fatigue, anxiety, nausea, and chronic pain.